Spray a 9×9 deep baking dish with non-stick spray. In a large skillet heat avocado oil over medium high heat. Add chicken, onion, carrot and celery, stirring until chicken is cooked through and vegetables are soft. Add garlic and cook a minute more until fragrant. Stir in tomatoes, hot sauce, chicken broth, salt and pepper. Reduce heat to low simmer, cover and cook 45 minutes. In a mixing bowl stir together the ricotta cheese and egg until smooth and well blended. Add parsley and bleu cheese mixing until well blended. Toss together the jack, cheddar and mozzarella cheeses. Add 1/3 of chicken mixture to baking dish. 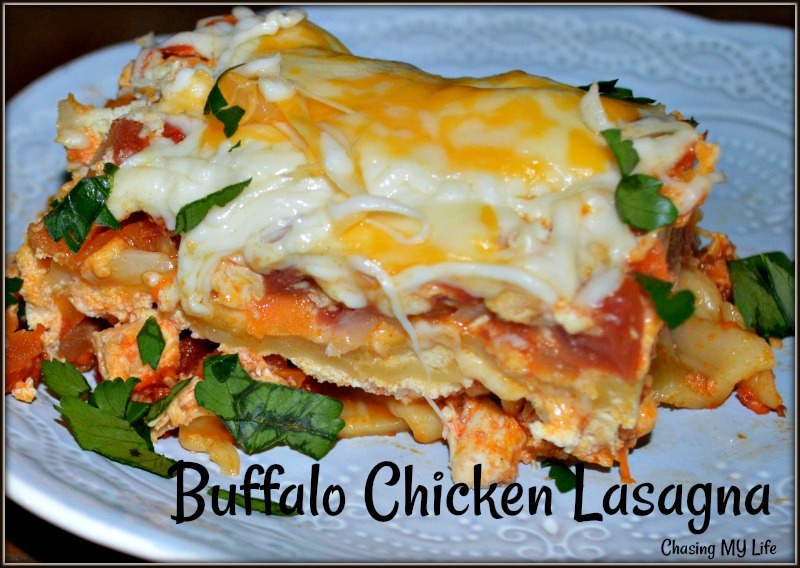 Top with a layer of lasagna noodles. Add a thin layer of chicken mixture. Top with a layer of the ricotta mixture. Top with a layer of the cheeses. Repeat layers 2 more times. Uncover, bake another 20-25 minutes until bubbly and cheese is golden.